Here is the complete steps, to fix the reset with the printer Epson Tx730wd. The Tx730wd Epson printer gives the possibility to print from your cellphone, iPad and of course your computer, its main characteristic is how much compact it is, with this printer you can scan, print and copy. Its sleek design gives us the chance to place it anywhere in our office or house, it is usually for micro enterprises and domestic uses. Besides with this printer there can be direct printing on CDs/DVDs and print 4"X6" pictures in less than 10 seconds. This printer counts with a 2.5" touch screen and with individual color ink cartridges that make able to change the one we need. This printer uses the following ink cartridges rated for about 500 to 800 pages per cartridge. Depending on the cartridges and the use given to them. Next we will present the procedure to reset this printer, normally this is needed when there has been too much printing with it even over the odds, thus it is something common to happen, actually what we will do is to get into the printer settings and by using a program tell the printer that it not really printed the amount of pages stored in its memory. This file was hosted on another server, if you cannot get permits for download from Google Drive, download from SkyDrive Hotmail. This document is hosted in Google drive to see how to download follow the procedure below: we are not responsible for the harm caused this program to your computer or pc. With the resetting of the Epson printer it has to be taken into account some important factors to avoid big damages in our equipment, the first step is to follow the procedure as it is shown here, scan for viruses the file to perform the resetting and check that the Epson printer that is going to be reseted is plugged to the computer. Any other printer must be unplugged from the computer regardless of their brand. After taking these measures that works as warning steps for the procedure to be as expected, what comes next is to run the "RESET_EPSON_TX730WD", file in our computer. A window will be display explaining the terms and conditions which must be accepted for the procedure to continue, to do so click on "ACCEPT". Just for a few minutes the dialogue will disappear but then it will come back and you will be able to see a wider menu with more options, due to which the resetting will actually starts. The program will automatically recognize the printer, maybe the port where the printer is plugged in case it does not recognize the port we will have to tell the program where the printer is plugged. To know the port where the printer is plugged you will need to go to printers, when using Windows XP go to Start-Printers and Faxes- and then you will see the printers plugged to the computer, when using Windows 7 go to Start - Printing devices - and then you will see the printers plugged to the computer. 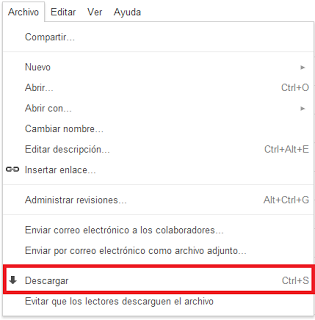 Click on "PARTICULAR ADJUSTMENT MODE" to select the language you prefer for the program, it is recommended to select Spanish the first option. Click on "consumables maintenance counter" and just after that select first consumables maintenance counter and then ok.
After clicking on check, continue and click on "initialization", when the process is finished, turn off the printer first and then close the program. Close the program and turn on the printer again, after all this the printer has to be completely reseted. We know you can be interested in downloading the Epson printer Tx730wd.exe drivers as well as downloading the user manual for the printer in PDF (Spanish).